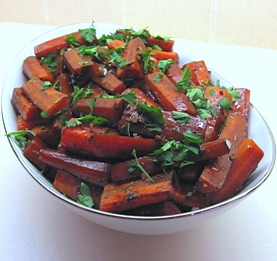 I chose this carrot recipe for Easter dinner tomorrow because it can be made ahead. It’s meant to be eaten at room temperature. 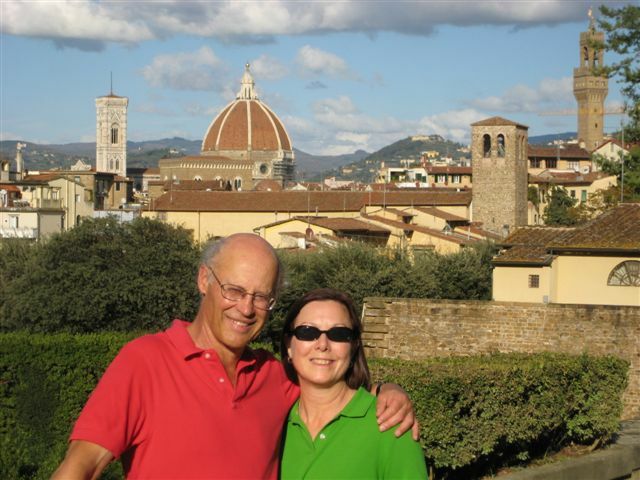 The Internet was the source for this recipe quite awhile ago, but I’m not sure of the site. A quick search today brought up astray.com, so it might have been there. 1. 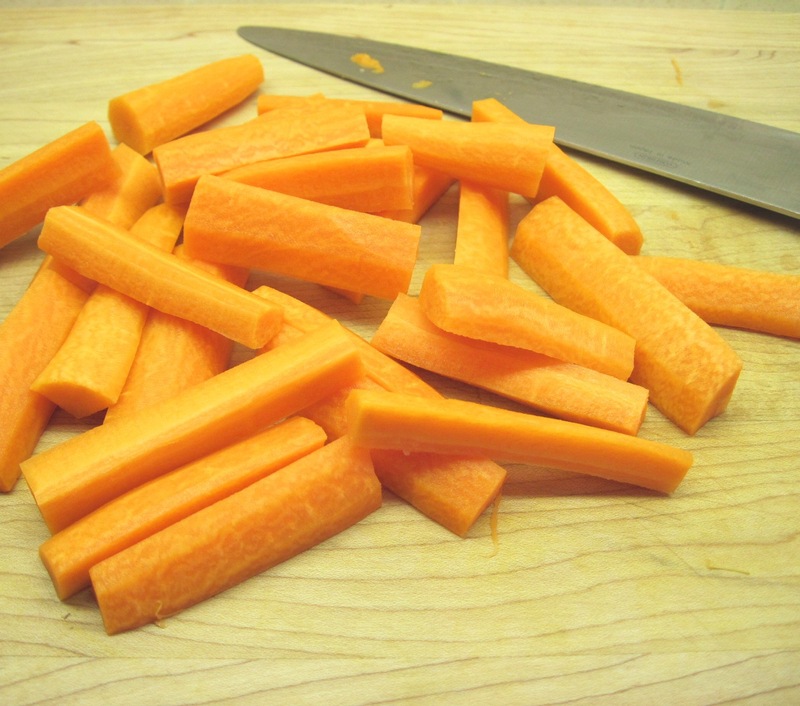 Cover the carrots with water and bring to a boil. Reduce heat and simmer for 5 minutes, or until just tender. 2. While the carrots are cooking, make the dressing. 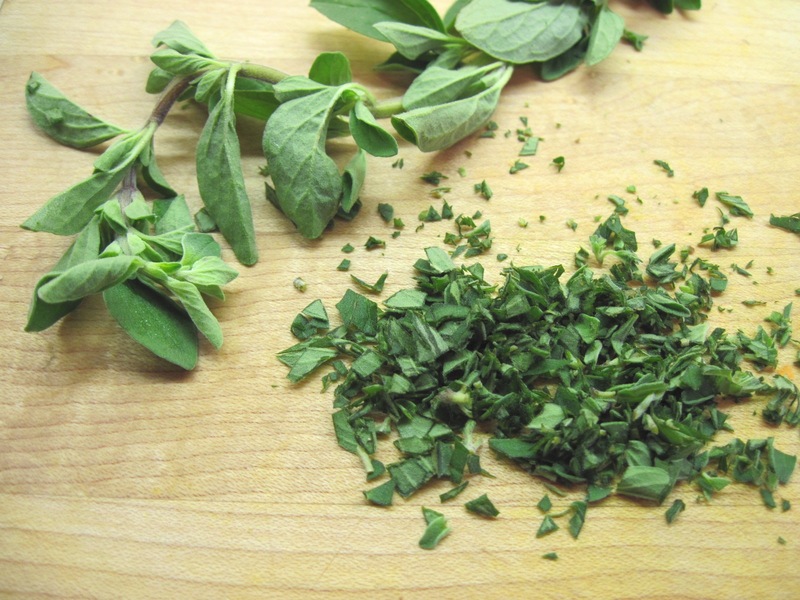 Combine the vinegar, oregano, garlic and olive oil in a measuring cup or bowl. 3. 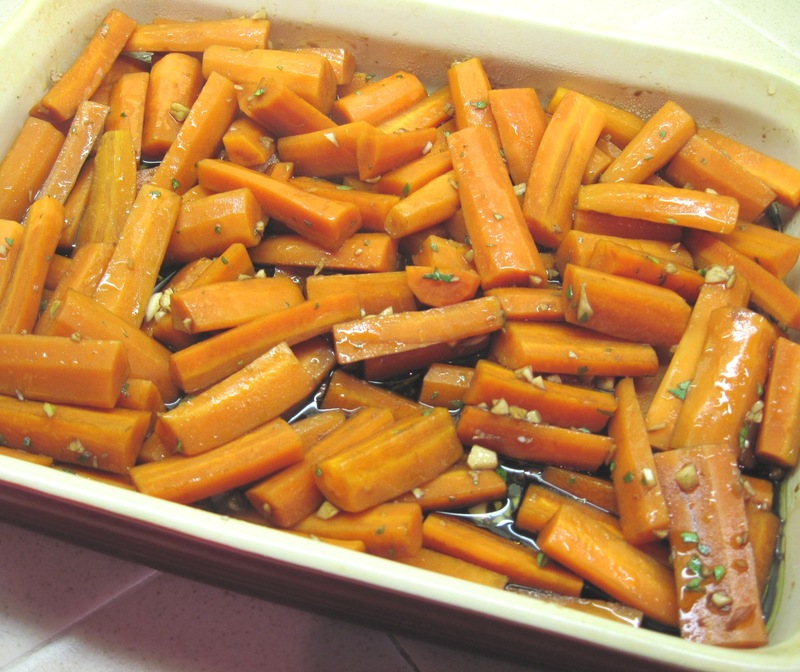 When the carrots are done, drain them and put them in a wide shallow baking pan or pie plate. Pour the dressing over them. Let them cool down, stirring occasionally. 4. If you’re making them ahead of time, cover with plastic wrap and store in the refrigerator. Let them come to room temperature before serving. 5. 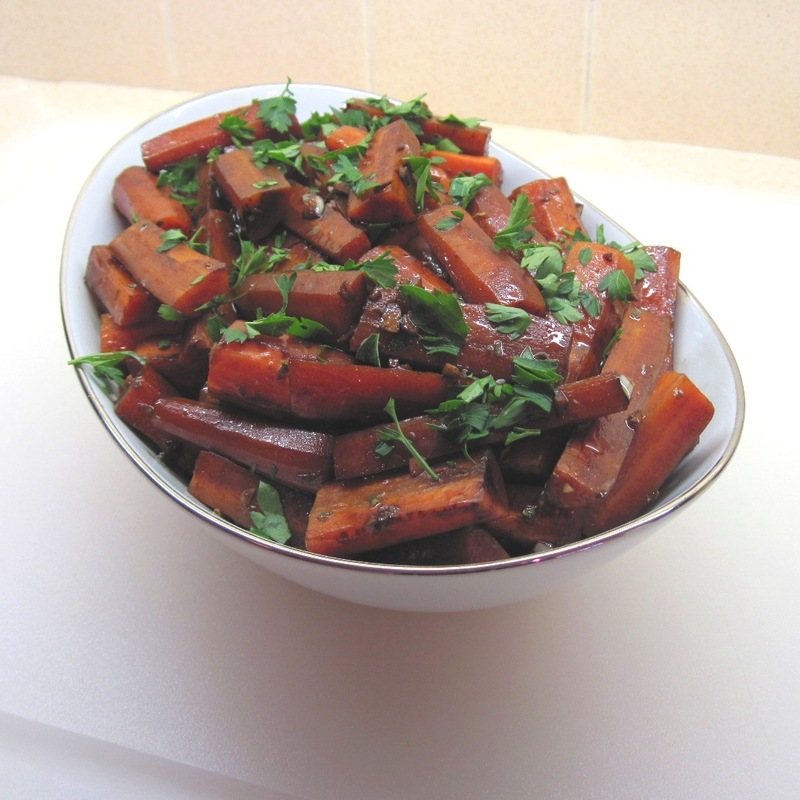 When ready to serve, move the carrots from the marinating pan to a serving dish with a slotted spoon. Season to taste with a bit of salt and garnish with a bit of Italian parsley. These were delicious, and so beautiful! The balsamic adds a gorgeous tint to the carrots. Thank you, Byron! I love finding recipes that are delicious and can be made ahead. It’s a winner! I made these a year ago and LOVED them!! I had to find the recipe again tonight to make them for some guests. Thank you Kath!! Thanks, Tori! It’s a great recipe for entertaining because it can be made ahead.